24th August 1724, Dale Street, Liverpool, England. George Stubbs was the son of a prosperous tanner. Briefly apprenticed to a painter but largely self-taught. 1739: Stubbs takes his first painting lesson under Harriet Winstanley. 1743: Over the next few years he plies his trade as a portrait painter in Leeds then York, Wigan and Hull. Begins to study anatomy in earnest. 1754: George Stubbs sails to Italy to study painting and then returns to England via Morocco. 1756: Birth of his first son George Townley. 1758: Studies the anatomy of horses in Horkstow in Lincolnshire. 1759: George Stubbs moves to London. 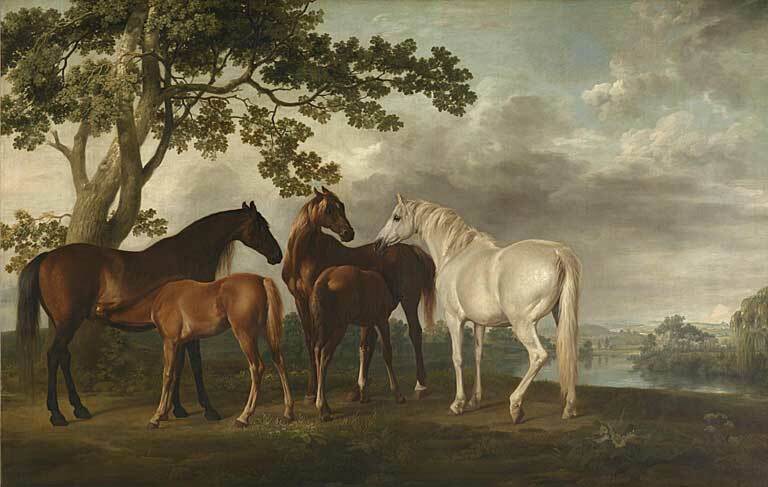 1760: Receives his first commission for paintings of horses. 1763: Moves to 24 Somerset Street, Portman Square. 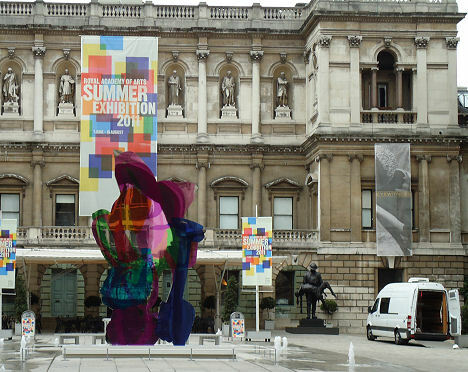 Exhibits with the Society of Artists. 1773: He is elected as President of the Society of Artists. 1775: Experiments with enamel painting when he meets Josiah Wedgwood at his Staffordshire pottery factory. 1780: Stubbs becomes an Associate of the Royal Academy of Arts in London. 1781: Elected a full member of the Royal Academy. 1790: Stubbs is commissioned to do a series of portraits of racehorses for the “Turf Review”. 1795: Works on his “Comparative Anatomical Exposition of the Structure of the Human Body with that of the Tiger and Common Fowl”, a work which he is never to complete. 1801: Stubbs sues Sir Henry Vane-Tempest for non payment of his bill for the picture of the racehorse Hambletonian, now in Northern Ireland. 1766: “The Anatomy of the Horse”. Never married but his long time common law wife was Mary Spencer. 12th July 1806, London, England. St. Marylebone “Old ” Parish Church, Marylebone High Street, London, England. Museum of the Royal College of Surgeons. Wedgwood Museum, Barlaston, Stoke on Trent.